Get up! Get up and let ?em know you still with ?em no matter what happens! 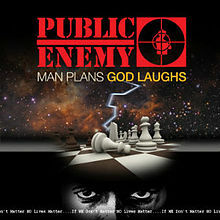 Put your goddamn hands together for Public Enemy number one! We the people can we get together? Can we get together we the people? See the people are they free and equal? Can we get from me to we my people? How do we get from me to we?